LONGLEY, AVARD, farmer, merchant, orchardist, temperance advocate, and politician; b. 22 Feb. 1823 at Paradise, Annapolis County, N.S., son of Asaph Longley and Dorcas Poole; m. first in 1848 Hannah Maria Whitman; m. secondly in 1855 Charlotte Augusta Troop, and they had at least three children; d. 22 Feb. 1884 in Paradise. Avard Longley’s ancestors came to Nova Scotia from New England. From the beginning his life was greatly influenced by his family’s attachment both to the land they farmed and to the Baptist Church in which they worshipped. He was educated in his home town and became a successful farmer and merchant there. Through the influence of the local Baptist church and his father-in-law, William Henry Troop, he became increasingly convinced of the evils of alcohol and of the necessity of total abstinence. The temperance cause became the glasses through which he viewed many issues of the day, and he frequently held positions of importance in local, provincial, and national temperance organizations. It was apparently Longley’s involvement in the temperance movement that first drew him into politics. In 1859, on a platform of opposition to rum and railways, he was elected a Conservative member of the Nova Scotia assembly for Annapolis County. Among the candidates opposing him were his brother Israel, and his successful running mates included James William Johnston*, the incumbent premier. Johnston’s government was subsequently ousted by William Young and the Liberals early in 1860. 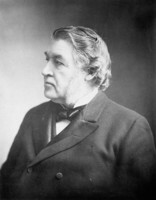 Longley was re-elected in 1863 when the Conservatives under Johnston and Charles Tupper* resoundingly defeated the Liberals. He gave his full support to Tupper’s controversial bill in 1864 which established a public school system supported by compulsory assessment, although many of his Annapolis County constituents opposed the plan. His stand on the other key issue of the day, union of the British North American colonies, is less clear. In 1864, referring to the choice between a union of the Maritime colonies or a general union, Longley was recorded as having made the curious and ambivalent statement: “Somehow or other it appeared to be inadvisable to include Canada in the arrangement; but he was inclined to think, if there is to be any union at all, it should be one of the whole of the Provinces.” In the ensuing discussion of union over the next three years he wisely refrained from again entering the debate. In late 1864 Longley was appointed commissioner of railways, a post he occupied until 1869; under his direction, railway lines were constructed between Truro and Pictou and between Windsor and Annapolis. Having resigned his assembly seat in 1867 to run, unsuccessfully, in the federal election of that year, he failed in his attempt to re-enter provincial politics in 1871. He was, however, again elected for Annapolis in 1874 and served until 1878. In the Nova Scotia house he was considered a major spokesman for the temperance cause and the Baptist Church. Longley’s first attempt at entering federal politics was as the pro-confederate candidate in Annapolis County in 1867. In this election, in which Joseph Howe*’s anti-confederate forces triumphed, Longley was soundly defeated, probably as much by resentment over Tupper’s Free School Act as by opposition to confederation among the voters. 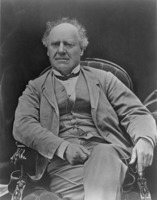 He was defeated again in 1872, but was finally elected to the House of Commons in 1878. During the brief period he spent in Ottawa, Longley once reminded a somewhat startled (or amused) Sir John A. Macdonald* and his fellow members that the temperance question was worth ten National Policies. He also attempted unsuccessfully to have the House of Commons bar permanently closed. Ill health forced his retirement at the time of the 1882 general election. Politics by no means dominated Longley’s life. As an increasingly prominent orchardist and a pioneer in the important Annapolis valley apple industry, he saw the potential in the export of apples to overseas markets and in 1863 was one of the founders of the Nova Scotia Fruit Growers’ Association. He served the association in numerous executive capacities and was its president from 1883 until his death the following year. Church affairs also occupied much of his time. He had joined the Baptist church in Paradise in May 1842 and from 1870 until his death served as its clerk. In 1876 and again in 1878 he was elected president of the Maritime Baptist Convention, and from 1874 until his death he was an elected member of the board of governors of Acadia College in Wolfville, N.S., despite the fact that he had had very little formal education himself. Neither a significant politician nor a brilliant public speaker, Avard Longley as a spokesman for the Baptist Church and the temperance cause nevertheless represented important social forces in 19th-century Nova Scotia. He clearly saw politics in such terms, although the causes he championed often put him out of step with the major political trends and politicians of his day. Annapolis County Court of Probate (Annapolis Royal, N.S. ), L77, Administration of estate of Avard Longley, 13 May 1884 (mfm. at PANS). Atlantic Baptist Hist. coll., Paradise and Clarence Baptist Church records, 1827–69. PANS, MG 4, Wilmot Township, Township book, 1749–1894 (mfm.). Can., House of Commons, Debates, 1879. N.S., House of Assembly, Debates and proc., 1864. Acadian Recorder, 23 Feb. 1889. The Baptist year book of Nova Scotia, New Brunswick, and Prince Edward Island . . . (Saint John, N.B. ), 1876. The Baptist year book of the Maritime provinces of Canada . . . (Saint John), 1880. Directory of N.S. MLAs. Historical records and general catalogue of Acadia College, August, 1888 (Halifax, 1888). W. A. Calnek, History of the county of Annapolis . . . , ed. A. W. Savary (Toronto, 1897; repr. Belleville, Ont., 1972). [S. N. Jackson], Historical sketch of the Paradise and Clarence United Baptist Church read at the centennial services held Sept. 10–13, 1910: 1810–1910 (n.p., [1910?]). R. S. Longley et al., Three Avard Longleys of Annapolis County (n.p., 1943). 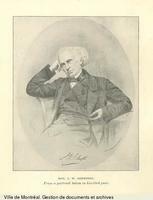 Barry M. Moody, “LONGLEY, AVARD,” in Dictionary of Canadian Biography, vol. 11, University of Toronto/Université Laval, 2003–, accessed April 26, 2019, http://www.biographi.ca/en/bio/longley_avard_11E.html.